• We've done a huge design update. The individual airport styling has been removed to give you a consistent, clean and modern look and feel. We hope you love the new Passngr style as we do. • We've done important preparations for new airports. Stay tuned! • We did a lot of small optimisations and bugfixes. Submit your feedback and suggestions for improvements to feedback@passngr.de. We value your feedback! Passngr was awarded "Top App" by Focus Money in the 14/2018 issue. 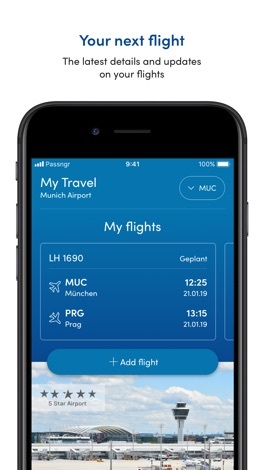 The best multi-airport app for passengers. 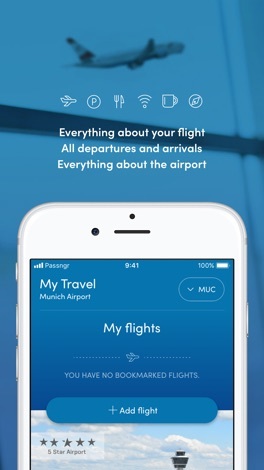 The Passngr-App provides all relevant information about your airport services and your flights. Simple, fast and up-to-date. 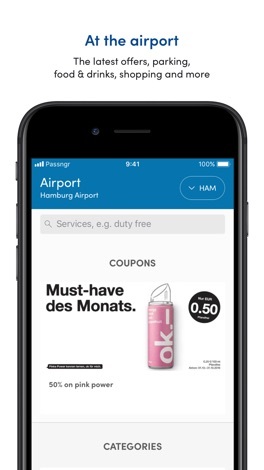 • Use the Passenger App for free. Access flights and services on many airports at no extra cost. • Current flight information about departures and arrivals. • Enhanced airline and aircraft information ensures that you are flying with the right aircraft. • Save your flights and popular services for many airports. • Follow flights live on Flightradar24! • Access to free WiFi for all registered passenger users at participating airports. 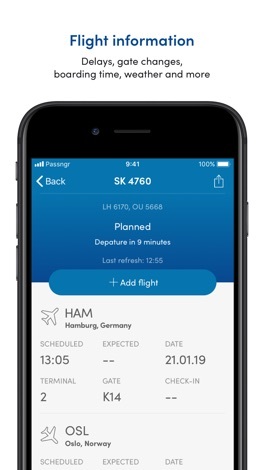 • Notifications inform you about current changes of saved flights. • Pre-flight shopping offers reduce waiting times at the airport. • Coupon promotions offer you discounts and other special offers in the participating shops at the airports. 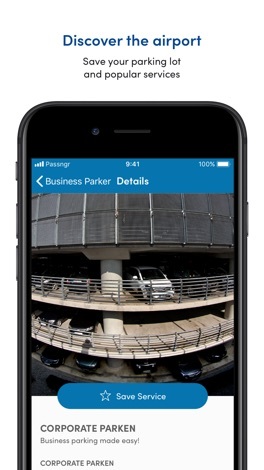 • Useful information about parking spaces makes your way to the airport easier. • Get an overview of all restaurants and food options at your airport. 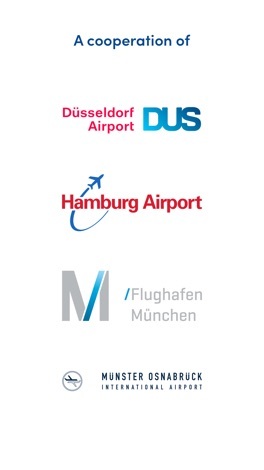 • Supported airports: Munich(MUC), Dusseldorf(DUS), Hamburg(HAM), Münster Osnabrück(FMO) and more to come very soon. We Are A God Inspired Group. We are a God-inspired group of ordinary teens & young adults seeking the extraordinary way of life through Jesus Christ. Need a ride? We provide cutting edge transportation, with guaranteed safe drivers and fully insured vehicles. Fully licensed, locally owned and operated, all you need is your smartphone to request a ride and get picked up within minutes. We can take you down the street, across town, It's simple, safe and easy to use.